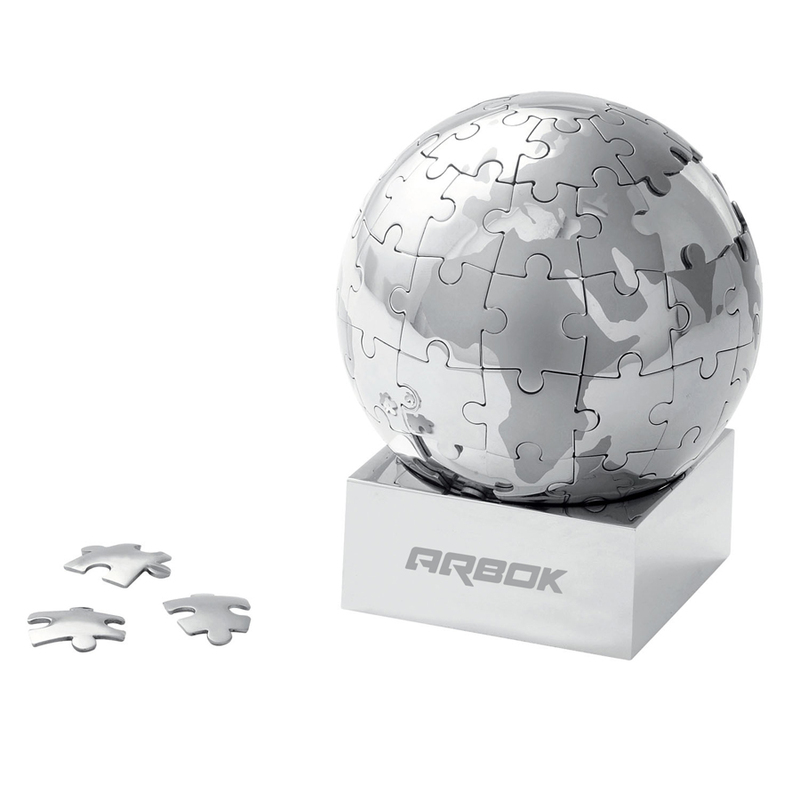 Magnetic silver metal jigsaw puzzle in the shape of the world globe on a shiny silver stand. Supplied in silver box. Colours: Silver, Dimension: 76mm Diameter. Price includes : 3 Day Service* Pad Print - One Colour/position. Setup is included.